6 tiles 60 x 60 cm, and a thickness of 12 mm. Total surface 1.8 m x 1.2 m, or 2.16 m². 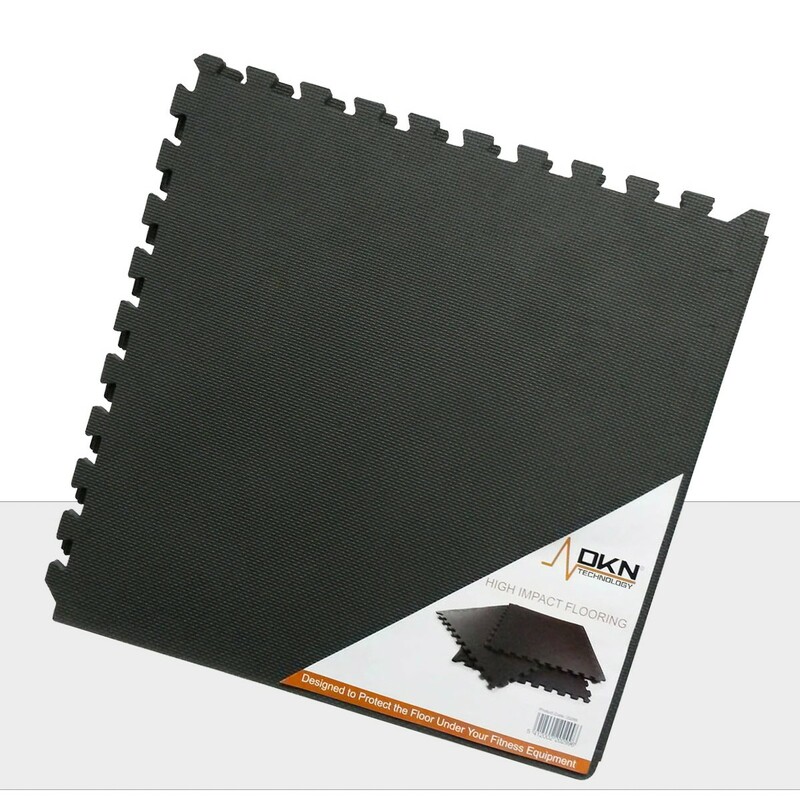 This extra durable interlocking floor mat from DKN is manufactured from hard wearing, lightweight rubber and designed to protect floors from scratching, scoffing or other damage caused by high impact fitness machines. 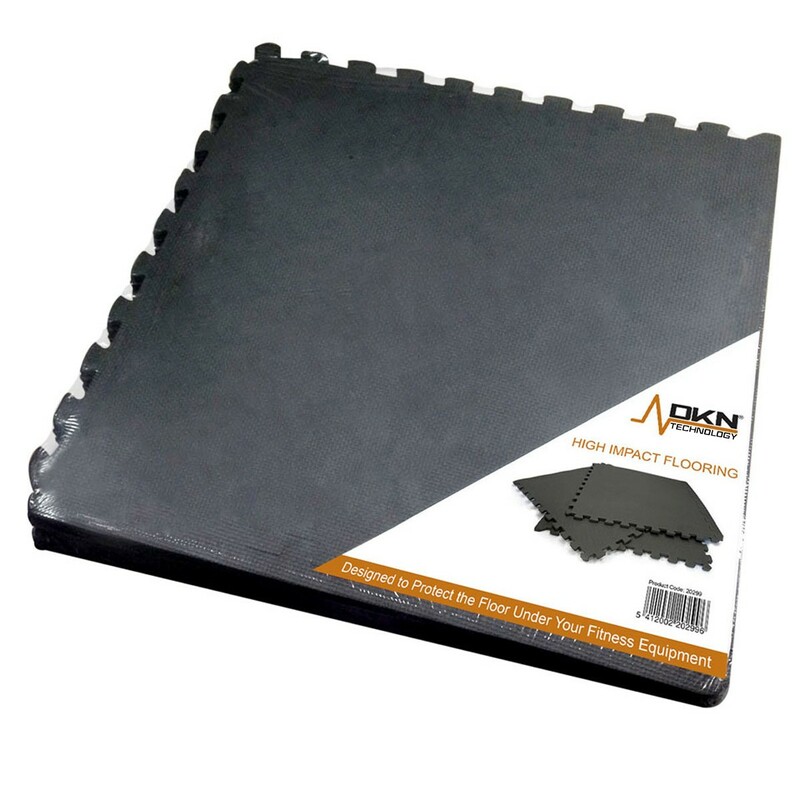 This 12mm thick, waterproof mat includes 6 pieces and an edging material ensuring straight lines around the outside of the assembled matting. It is easy to clean and features a non-slip surface to guarantee added safety.